My parents are from the village of Bann E-lai in Naxaithong, located in the Vientiane Province of Laos. My parents immigrated from Laos in 1979 and arrived in America February of 1980. They arrived in Rhode Island, and instead of moving around, made the best of their situation here in the smallest state in America. I was born in Rhode Island in 1986. I have older brother who is a Senior Systems Engineer and also has his own consulting firm. I attended all public schools in my city. I started being very active within the school system at a very young age, writing letters to local celebrities such as the weatherman, even asking Congressman Kennedy to visit our schools. In middle school I was on the student council and represented my city in the statewide geography bee. In high school I was captain of the junior varsity soccer team. I continued to participate in the student council throughout my four years in high school and was Class President my senior year. I was on the school newspaper staff that won numerous awards during that time and became Promotions Manager (editor). I volunteered for a number of community groups and during all this time, I also was taking AP and Honors courses and worked part time at KB toys. My goal was to be as versatile as I could possibly be, pushing myself as much as I could to make a difference. One of the things I’ll always remember is the day of high school graduation, where I stood in front of a crowd of thousands (including family, friends, teachers and state representatives)to deliver a speech that received a standing ovation. I went on to attend Assumption College, where I majored in Business Management. Despite being one of five Asians in a class of 2000 students, I continued to participate in sports, school clubs and volunteered my time in the community. After finishing my undergraduate degree, I accepted a banking position in the mid-Atlantic region, and relocated. After two years of the gruesome work, and an unstable job market, I relocated back home to be with my family. In life, things don’t always go as planned. 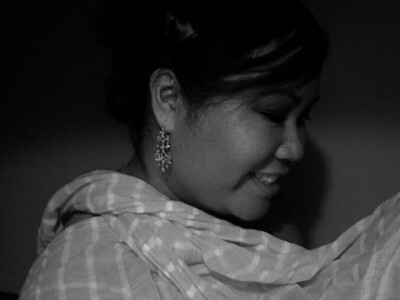 The transition and relocation has led me to work within my community as an interpreter, cooperating with the social economic development center for Southeast Asians in my area. My current work is very rewarding — going from courts, to hospitals, to schools, and even to the homes of my fellow Laotians. I am able to see all aspects of the Laotian community and the challenges that they are facing. 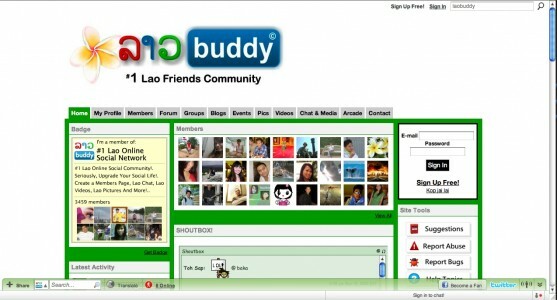 One day I Googled “lao social networking” and came across the LaoBuddy website. During this time I wanted to get back on track and in touch with my community. I started off as a member of LaoBuddy.com, then one day came to a realization that there’s so much potential in the website to connect people from all around the world, if it was pushed the right way. I was a regular member for a little over a year. The founder had difficulty keeping up with it and sold it to another webmaster, who also had difficulty keeping up with it. It was then that I saw the perfect opportunity to buy both webmasters out and become the sole owner of the website, and now have full rights over it. My vision and my mission for the website is to reunite a community that I feel has been broken for so many years. My inspiration comes from within myself. 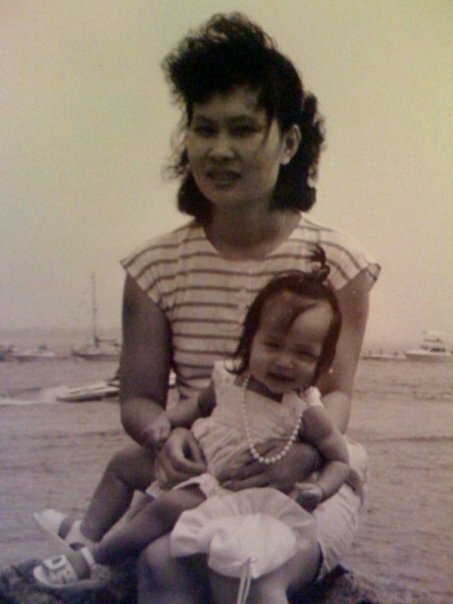 As a young, second generation Laotian American woman I have learned to stand up and overcome the obstacles. As a businesswoman, it’s important to persevere, observe, and learn from not only your mistakes, but others as well. The website is a combination of many things: forums, blogs, photos, videos, music, chatting, video chatting. It’s very versatile and that’s exactly how I want it. It’s unique in this way, differentiating the website from other social networks by having all of these features available for the members. I’m not trying to be a Facebook, a Myspace, or a Twitter, it’s more of a community, where everyone of different backgrounds can come together and share with each other their views and opinions freely. The website is funded by myself, and member donations are always welcomed but not required. I’ve reached out to many online communities to help promote and advertise the website, as well as offline communities to let them know and be aware of the website. We average over 30,000 visitors per month, with a little under 200,000 page loads per month. We are ranked #1 in Google search for Lao Social Networking. We currently have over 3,400 registered members, with over 1,700 daily active registered members who upload photos, videos, blogs and forum posts. My goal for the next few years is to be on track and follow through with my current plans and improvements for the website, as well as raise awareness of the website within the Laotian community as a resource for social and other types of networking. We plan to hold a big bash for our Buddies in 2011, to unite in one spot! My long term goal is to see a progressing and booming website with many supporters. As this is my first venture, the only advice I have is to never give up and know that your team is as strong as it’s weakest link. Get involved and get connected. I want to thank all of my administrators, and more importantly the members of the community. Without their participation and insight there wouldn’t be a laobuddy.com, and we wouldn’t be the world’s #1 Lao social networking community.